Our parish would not be able to do the meaningful work we do without the generous support from parishioners like you, who recognize the critical importance of our mission. We are very grateful for all the gifts we receive, even the smallest of donations. Every penny truly makes a difference. 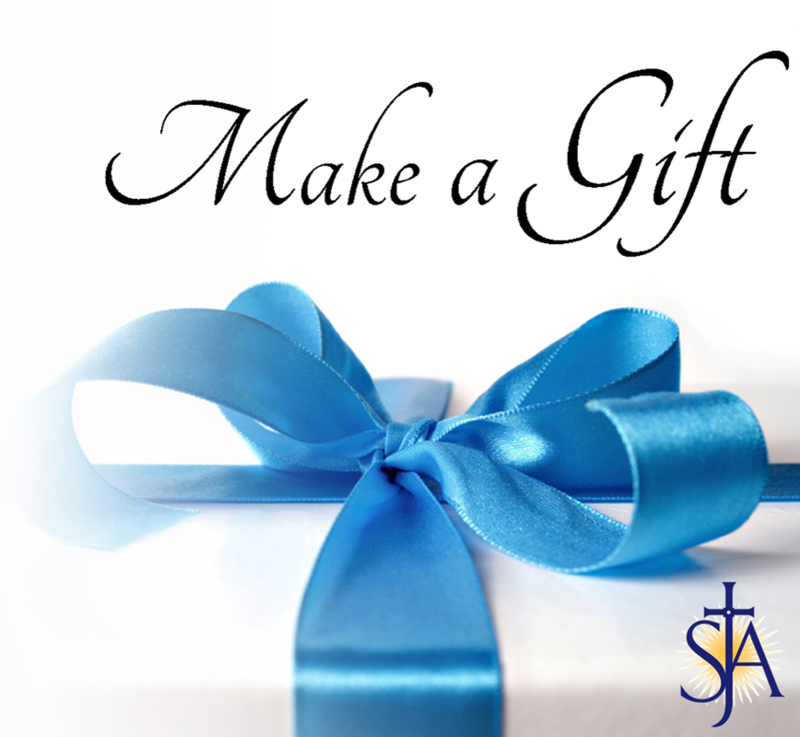 Contributions can be made to any one of the campaigns or funds of the parish to directly benefit the cause you choose. Information about each of these options is below. The General Fund is used for the general operating expenses and needs around the parish as they arise. This fund is supplemented mostly by the tithing efforts of our parish community. This particular fund is extremely important to the parish as it allows us to plan and promote our parish events, improve our communication efforts and support over 60 ministries within our Church. The Church Memorial Fund is used only for items needed in the church. People can contribute any amount to this fund and when something is needed in the church, depending on the cost, we will either take one person’s contributions or several people’s contribution to purchase what is needed. Then, either one name or several names will go into our Memorial Book located in the church signifying in whose memory the contribution was made and listing what was purchased. The money from this fund is not used for the church’s ordinary expenses. The Heart of the Parish fund is a special fund to support the many repairs and maintenance needs of the parish's buildings and grounds. With such a large church property and many older buildings, there is currently great need for repairs and upgrades in many of the facilities for which the general operating budget simply does not allow. This fund is also used to maintain the projects completed through the recent capital campaign. Our children are of primary concern and responsibility. As a parish community, we reach out to pass the faith onto our children through our: Religious Education Program, Youth Ministry, and Catholic School. The Mustard Seed Fund was established to help support these programs and benefit the faith formation of youth in our parish by offering supplemental support which allows us to implement innovative ideas and projects as the opportunities arise. Our Love Thy Neighbor fund supports the less fortunate of our parish community. to a specific cause not mentioned, please contact the parish office at (717) 533-7168.